The vodka tonic cocktail roots originated in India. The original gin and tonic cocktail was drank to treat and prevent malaria. The quinine found in tonic water was found to help fight Mararia by Scottish doctor George Cleghorn. Because, soldiers were given gin as part o their rations, they set out to find a more palatable recipe. Drinking straight tonic water has unpleasant taste to most. Eventually, they came up with the tonic water, lime, sugar and gine and the G&T cocktail was born. Also, quinine is in many medical studies done in modern times. Due to the large amounts of quinine needed, doctors have found that it is not a good treatment for medicinal. Although, it can be effective, it is impractical to consume the quantities needed. Also, other studies have found quinine to have other potential medical benefits. 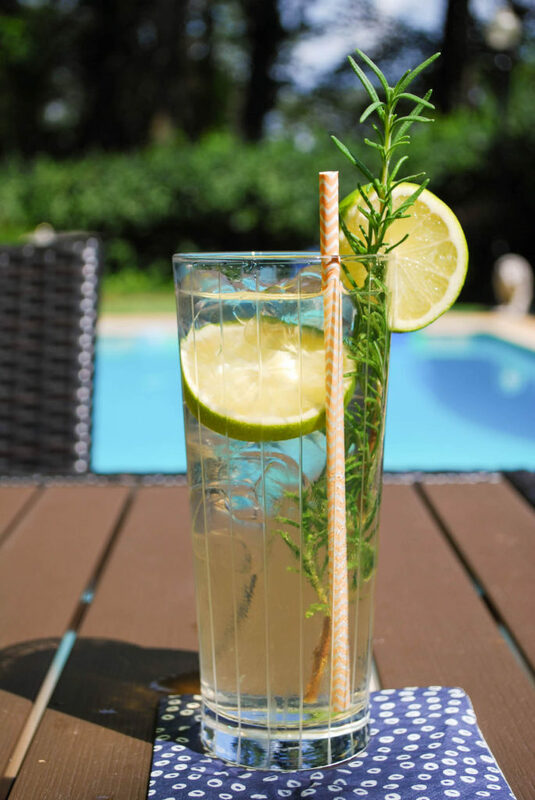 Quinine may help discourage parasites in individuals consuming above average quantities of the drug. So, summer is about to wrap up and I still have some lavender rosemary infused vodka left in the fridge. Therefore, I’ve decided to post yet another vodka cocktail featuring our lavender rosemary infused vodka. I figured why not try it out in one of my favorite classic vodka cocktails, the vodka tonic. 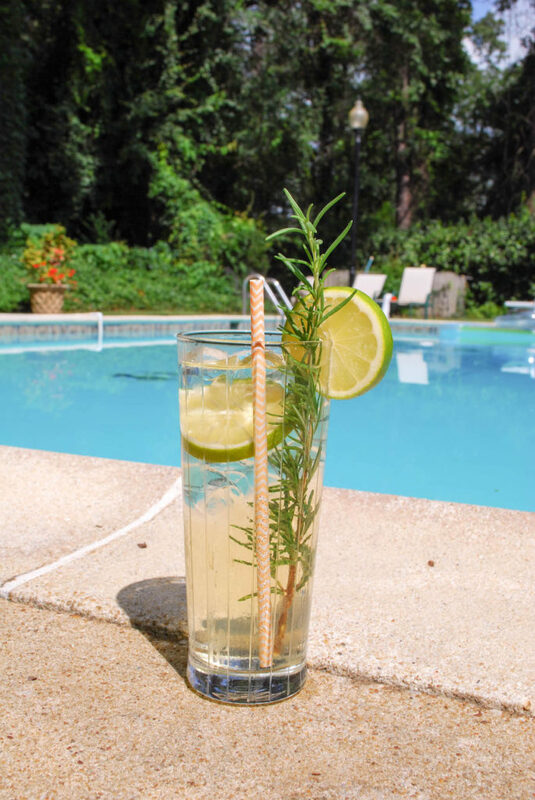 Since it was such a hot summer day, we made a great vodka cocktail to enjoy next to the pool. Most of the time, a vodka tonic is in a highball cocktail glass. And, the cocktail is garnished with a lime either sliced or wedge cut. Today, however I’ve also added a rosemary garnish since we are using our infused vodka. So, let’s get to it! 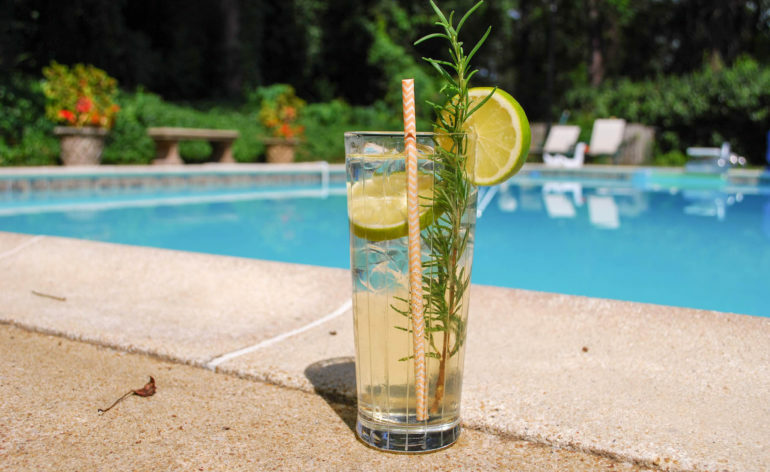 We made these vodka tonic cocktails to sip on next to the pool on a hot summer day. Finally, everyone enjoyed this version of the all time classic vodka tonic cocktail. The vodka tonic is one of the simplest cocktails to make at home. 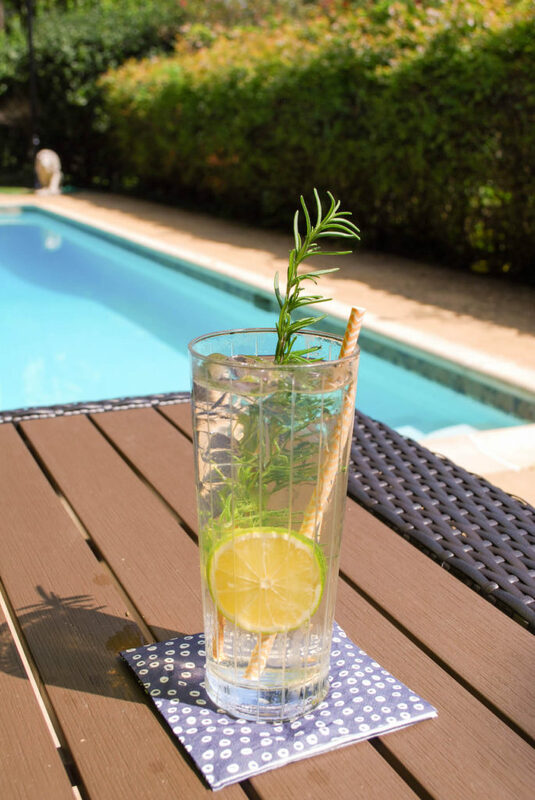 Concoct your very own vodka tonic at home using the few steps seen below. Garnish your cocktail. We decided to garnish with both a lime slice as well as rosemary sprig.